It’s a busy week at PlayFrank, as 4 new must-try slots are available in the casino. Romeo, Phantom’s Curse, Cleo’s Wish and Planet Fortune have all been added to the slots section, so check them out with the added bonus of extra spins on one of them! You can claim one of the bonus spins offers, the choice is yours. The spins come with a wagering requirement of x40, and you can read full bonus terms and conditions at PlayFrank. There are new bonus spins offers available every week at PlayFrank, but you never have to wait that long to get your hands on valuable rewards. 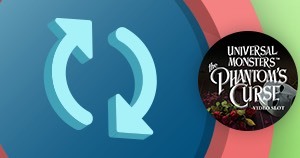 First of all, you can make your way down the unique bonus tracks to earn rewards that are tailored to your tastes. Just pick the track you want to follow and play your favourite games to automatically move down the track. And don’t forget about your daily challenges - these bite sized missions are quick and fun to do, and they give you instant rewards once you complete them. You’ll get 10 bonus spins for every challenge you complete, plus 10 extra spins if you complete all of them. The spins have a wagering requirement of x40, and bonus terms and conditions apply. Try out something new this week, with four exciting slot releases and added rewards at PlayFrank. If you haven’t played at this excellent casino before, we recommend that you take a minute to check it out for yourself. And make sure to have a look at the welcome bonus offer that is available on your first deposit. Pick your track and play the new slots to get closer to the many treasures that await at PlayFrank!